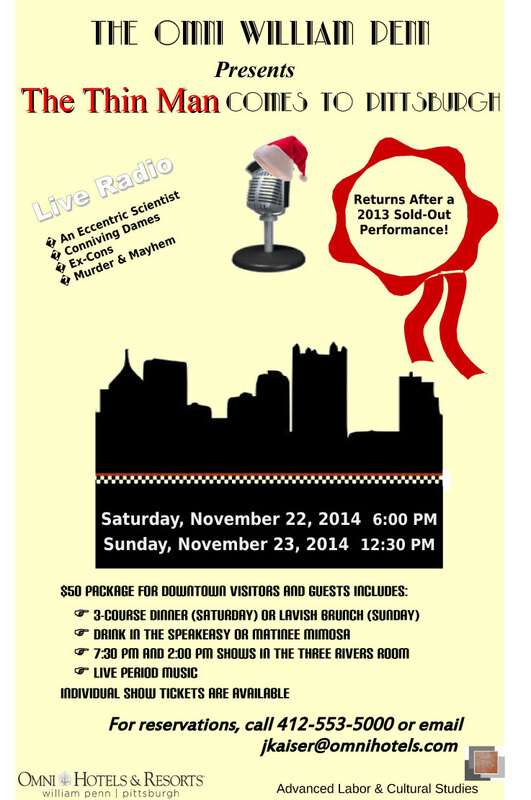 The Omni William Penn sold out dinner packages for our upcoming 2014 performance of The Thin Man Comes to Pittsburgh for Saturday 11/22 and Sunday 11/23. Show tickets are still available. Please call 412-553-5000 or e-mail jkaiser@omnnihotels.com. Also, the show was featured on 10/24 in the Post Gazette’s Radio Notes.